In USA mounted games, socks are a key team garment. They usually come up to the bottom of the riders knees and can be as wild as the team chooses. Some riders miss match their socks, wearing different prints on each leg. Some teams like a conservative solid color. 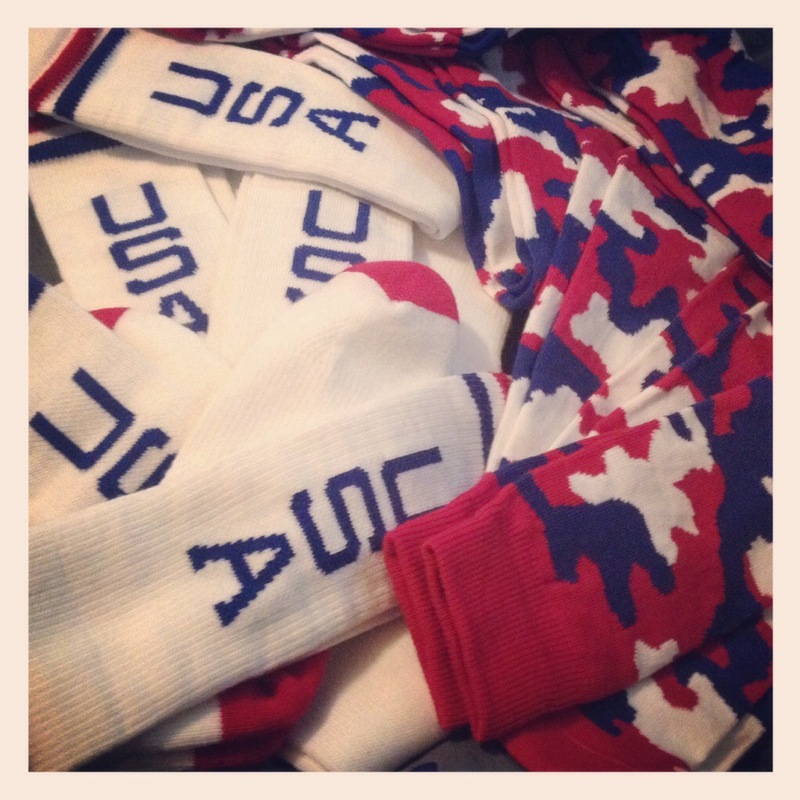 The MGAA team that will be traveling to Ireland next month needed some socks to complete their team outfit. Those socks arrived in the mail today!